On the occasion of its 8th anniversary, Xiaomi has made the MIUI 10 official. The Chinese smartphone giant revealed that over 190 million users all over the world were using the MIUI on their phones. After the announcement, Xiaomi went on to introduce the new UI which would now power the upcoming Xiaomi phones, all over the world. 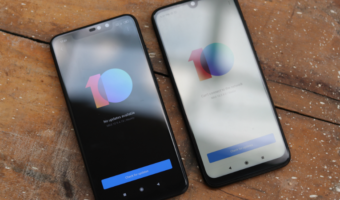 It goes without saying that MIUI 10 had been a much-awaited UI update, and the users are hoping that Xiaomi has developed the MIUI 10 to be worth the wait. Xiaomi has made visible upgrades over the previous MIUI, to make way for MIUI 10. 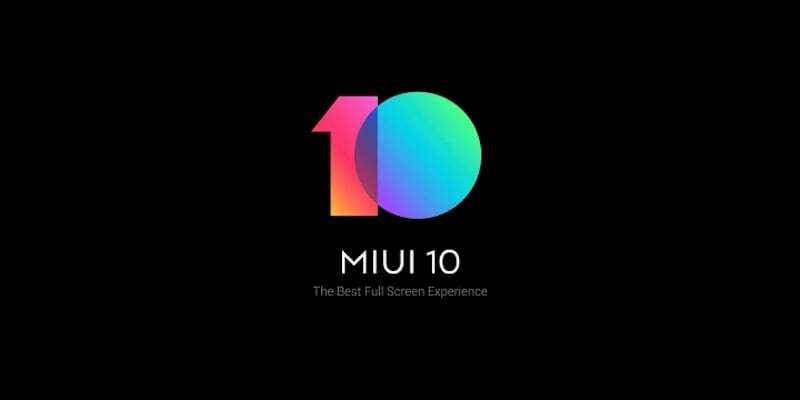 Some of the striking features of the MIUI 10 have been listed down below. The recent apps menu section has got a drastic update since it has brought an unconventional feature on the table for Xiaomi phones. Now instead of showing the recent apps like a deck of cards, the MIUI 10 will show them side by side, making it possible for the users to see as much as six recent apps in a single view. This feature has been brought to the UI to utilise the full screens better, which can be seen on the newer Xiaomi phones. 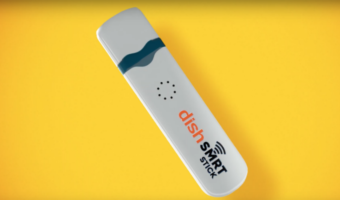 It is company’s claim that this will make for a better and improved user experience. 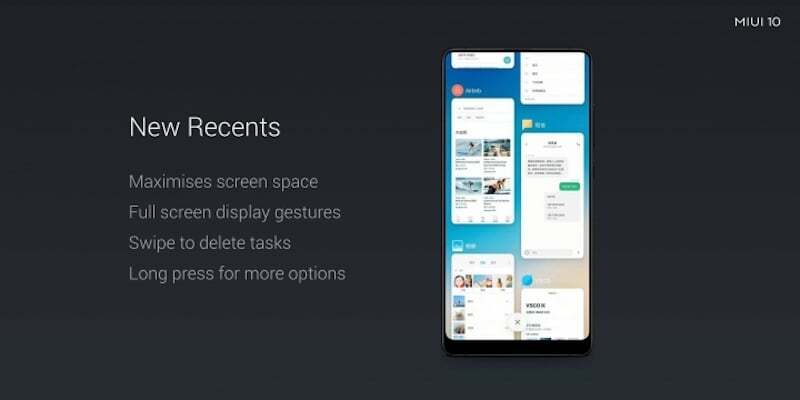 For removing a recent app from the screen, users will be able to swipe, and they will also have the option of long press to avail more actions. 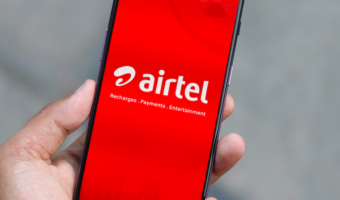 In 2018, AI has become a big deal for phone manufacturers. With chipset makers focusing on AI and software developers, making AI-based app there was no way that Xiaomi would let the technology slip away from MIUI 10. 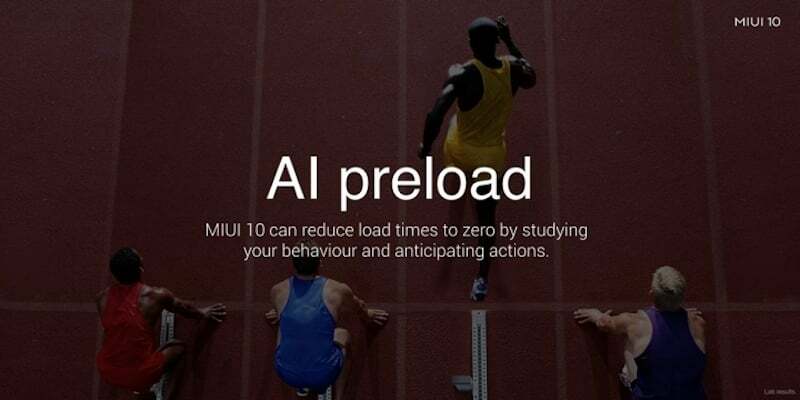 One of the AI based highlights of the MIUI 10 is going to be the “up to zero” feature, which will significantly improve app loading times by studying user’s app usage behaviour and anticipating actions. Another AI based feature on the MIUI 10 is going to be the single camera bokeh mode, which will be pushed to older Xiaomi smartphones including Xiaomi Mi 5 and Xiaomi Mi Note 2. This new update will allow these phones with single camera setup to snap pictures with the depth of field effect. The MIUI 10 will come with an update which will make it easier for the users to drive without any distraction. The driving mode will make use of voice commands, and the users will be able to use features like map navigation, attending phone calls, all using voice control. The MIUI 10 will also facilitate easy controlling of all smart home gadgets right from the interface. 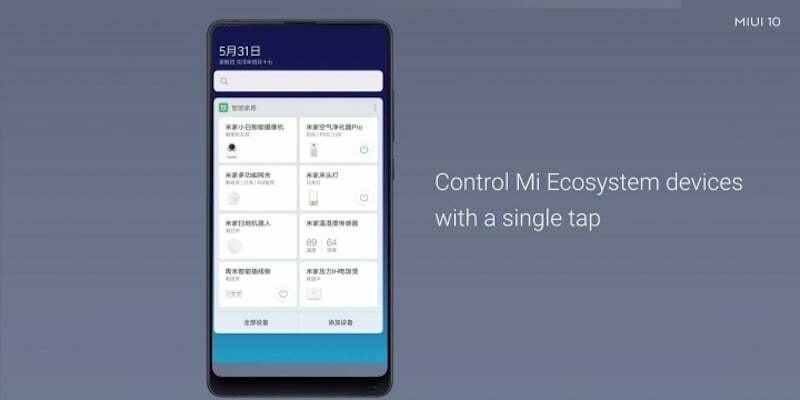 The control for each device will be on the respective widget on the screen, thus eliminating the need of opening the Mi Home app over and over. The company has claimed that a total of 590 brands will support MIUI 10, and the list is supposed to increase. Also, for people who want to try the new ROM without waiting any longer, there will be the developer ROM option which will be rolled out initially to 33 Xiaomi smartphones. The first lot of Xiaomi phones, which will include the latest Mi 8, will get the update in June while the second lot will get it in the month of July. They just pulled Oreo and rolled all 5 Pro devices back to Nougat last week because they couldn’t handle its development. Who asks you to even try to make an effort with your own ROM? we hate MIUI anyway. Just give Android One in all phones sold in India. Which all Mi and redmi phone will get the Mi10 update?